Very pretty pair of rotund Art Deco planters made out of cast iron (or possible cast aluminium but fairly heavy). Nice washed-out light grey patina. 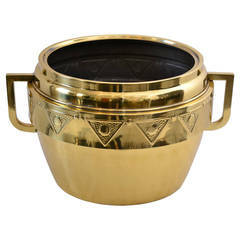 Classic, 1920s cast aluminum art deco handled urns or planters exquisite form. 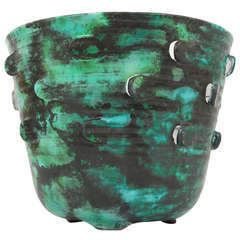 Retains original distressed patina. 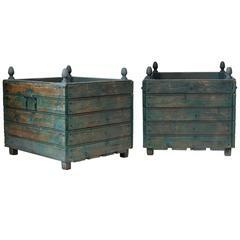 Elegant pair of large square wooden box planters, painted green with finials at each corner. 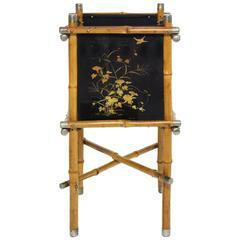 1930s Art Deco iron plant stand.